If you thought David Sokol, Warren Buffett's former top candidate to succeed him as CEO of Berkshire Hathaway (BRK.A), was wrongly forced out, think again. On Wednesday, Sokol resigned from Berkshire under a cloud of possible insider trading charges. But these recent ethical lapses are hardly the worst of Sokol's business transgressions. Almost exactly a year ago, an Omaha, Neb., court forced Sokol's MidAmerican Energy to pay $32 million to a group of shareholders for cooking a project's books. The judge ruled that Sokol had "willfully and intentionally" falsified profit calculations to eliminate a group of minority shareholders -- including the San Lorenzo Ruiz Builders & Developers Group -- in a project in the Philippines, according to the Omaha World-Herald. And back in 2003, Sokol settled a lawsuit alleging he cheated shareholders when he sold his company to Buffett. Sokol joined the Berkshire family in 1999 when Buffett paid $2.1 billion to buy his MidAmerican Holdings. The project in the Philippines was a hydroelectric power and irrigation system on the island of Luzon. In 1993, when it began, Sokol headed CalEnergy, now part of MidAmerican. CalEnergy built the system, and it began operating in 2001, collecting water from two rivers and producing roughly 150 megawatts of electricity. In 1998, San Lorenzo Ruiz sold its interest in the project to CalEnergy, but with a right to repurchase. Four years later, CalEnergy generated financial statements that on their face wiped out San Lorenzo Ruiz's interests. A year later, San Lorenzo Ruiz told Mid­American it was exercising its option to buy back its shares in the project, but Mid­American went to court to block the move. On April 2, 2010, the Omaha court concluded that MidAmerican had faked the project's financial statements so it could wipe out the rights of its minority shareholders. Specifically, according to Manila's Standard Today, it found that when it came to calculating San Lorenzo Ruiz's interest, MidAmerican "wrongfully and contrary to the agreement of the parties did not use information that reflected 'actual project economics'"
The Omaha court concluded that MidAmerican was doing this for a nefarious purpose -- to appropriate San Lorenzo Ruiz's rights. Standard Today reported that MidAmerican cooked the project's books "knowingly, deliberately and with the intention, precisely, to reduce San Lorenzo Ruiz's interest to zero and thereby prevent San Lorenzo Ruiz from exercising its rightful option to buy back its shares in the project company." MidAmerican was ordered to pay $32 million to San Lorenzo Ruiz, and to fork over 15,000 shares in the project that between 2010 and 2021 could pay more than $140 million at a rate of about $12 million a year. Did Sokol Sell MidAmerican at a $140 Million Discount? Not surprisingly, the San Lorenzo Ruiz scam was not the first time Sokol had been accused of ripping off those in a weaker position than himself. When Buffett acquired MidAmerican in 1999, Sokol was sued by MidAmerican shareholders because, as the Sioux-City Journal reported, Sokol "tricked company directors into approving the 1999 sale of the company to Berkshire Hathaway." The lawsuit claimed shareholders were cheated to the tune of $140 million when Sokol "used personal relationships, fraud and deceit to manipulate the board's decision." The plaintiffs claimed that MidAmerican was worth $37.37 a share, but Sokol sold it for a mere $35.05. On August 3, 2003, Sokol agreed to settle the lawsuit for $7.5 million. As the CEO on the other side of the deal, there's no way Buffett could have failed to know about this. So why is he still Saint Warren? It's not just because he's the world's third richest individual. 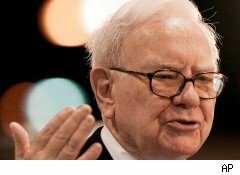 After all, the world's wealthiest man -- Mexico's Carlos Slim -- does not enjoy Buffett's lustrous reputation. My take is that Buffett has lulled the media by hiring a Fortune columnist to write his annual reports, and by giving captivating background briefings to influential reporters. Buffett's support of Sokol is at odds with his saintly image. However, since none of these examples of Sokol's chiseling are secret, the only reason I can imagine for the media to ignore them is that they don't fit the Buffett/Berkshire narrative. Perhaps Buffett's shareholders should consider this bursting of the Saint Warren bubble as a chance to take their profits before more bad news emerges.